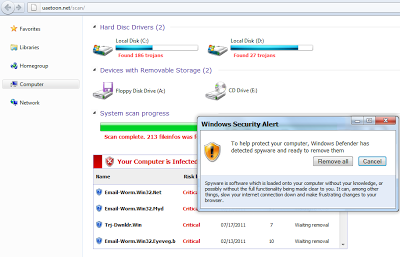 Attackers continually modify malware in order to evade antivirus software. Attackers will pack or encrypt malicious files using various packers. Blocking each and every malicious executable is a challenging task for antivirus vendors. Most malicious files, once installed, try to download additional malware or send HTTP GET/POST requests to malicious servers controlled by attackers. Malicious files can gather sensitive information and then send it to the controlled servers. Given the networking capabilities of malware, beyond simply trying to identify the malicious binary itself, we can also detect malware by identifying certain patterns in network traffic. This blog will explain how someone with limited reverse engineering skills can monitor network traffic to identify malicious binaries. You need a separate controlled environment to run the malicious samples. It is never advisable to run the samples on your production network. There are chances that not all HTTP requests are fired by the malicious binary depending upon the availability of malicious severs. Due to the above limitations, we sometimes need to first reverse the malicious binary in order to retrieve strings such as the destination servers. This can easily be done, with limited reverse engineering knowledge and without running the sample. Let’s begin with some static analysis. Download the malicious file on your machine or VMware image, but don’t run it. From the above strings, we can conclude that this malicious binary creates registry entries under “Run” in order to run this executable each time the computer is rebooted. This binary can also send HTTP POST requests with content type x-www-form-urlencoded, which refers to the URL format. This is valuable information when writing pattern matching signatures, in order to block further infection. Copy and save the URL format which is “http://%s%s?act%sor&v=1&a=%d&id=%s&hardid=%s”. The malicious file later will substitute domain strings and other data in place of the %s (string) variables. We can now easily block all HTTP requests, including the above patterns. Even if the attacker changes the domains used, chances are high that the URL format will remain the same. It turns out that this traffic relates to the now well-known Koobface worm. Blocking all variants of malware can be difficult but we can greatly improve detection rates by additionally monitoring network traffic.